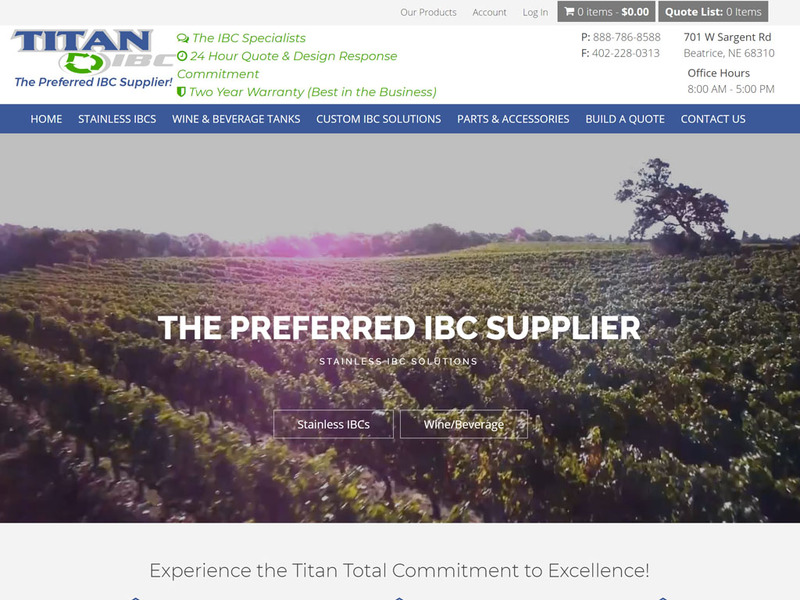 Titan IBC manufactures stainless intermediate bulk containers and is a previous customer whose site we built in 2009 when they were just a start up. 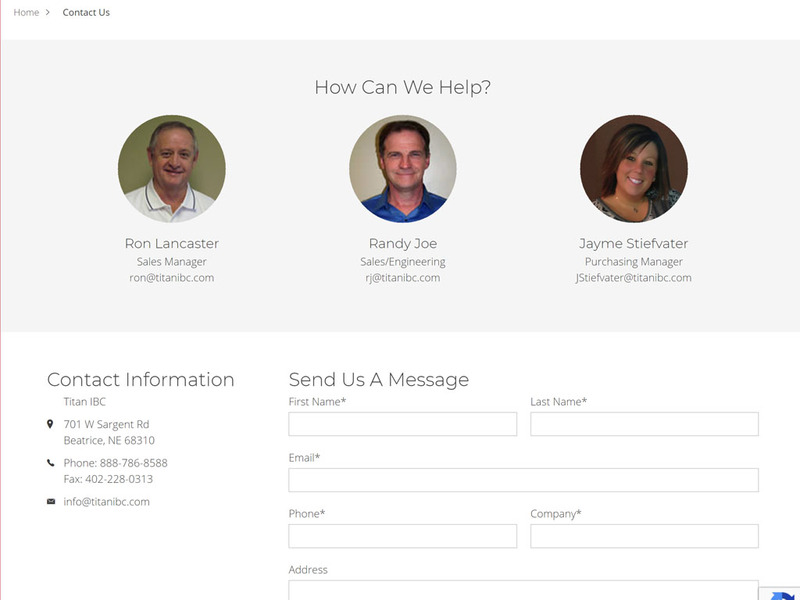 Fast forward nearly 10 years and it was time for an overhaul. 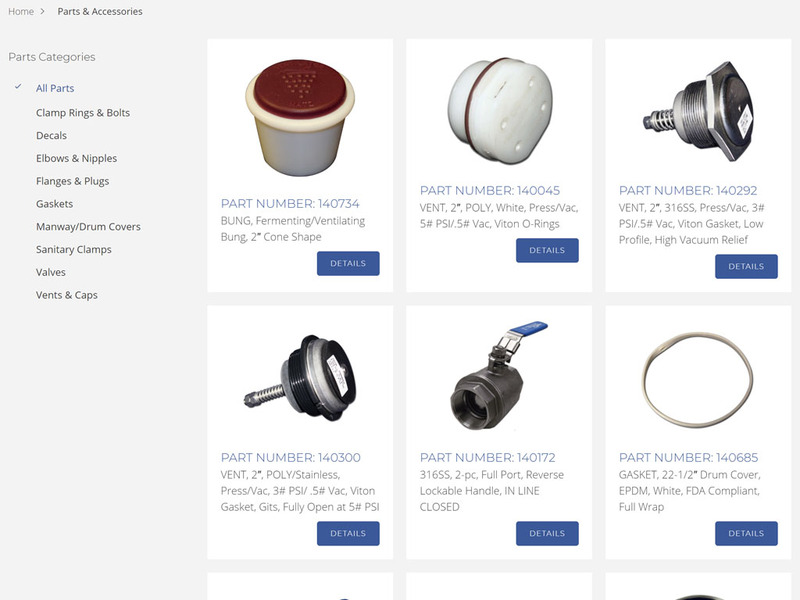 They now offer many more services, have an extensive product line and also offer replacement parts. 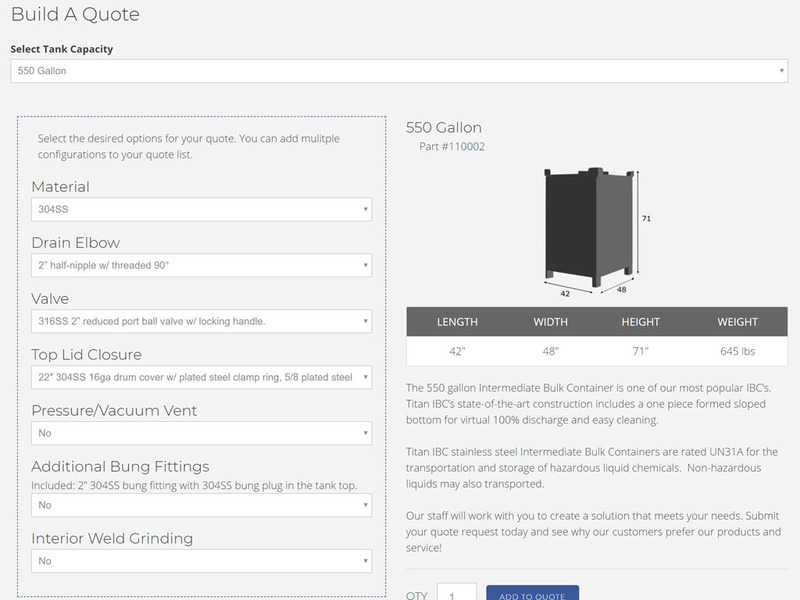 They also needed to streamline the quote process, so we built them a custom “Build A Quote” feature that allows customers to begin with a base tank and add desired features and select custom quantities to get a quick reply within 24 hours. 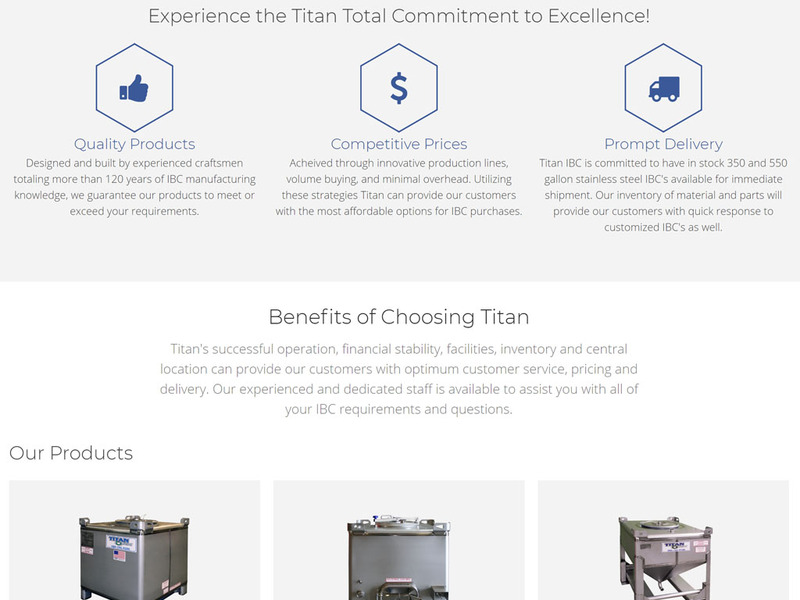 Since they now stock and sell replacement parts for their tanks, we incorporated WooCommerce as the ecommerce solution to handle this side of their business. 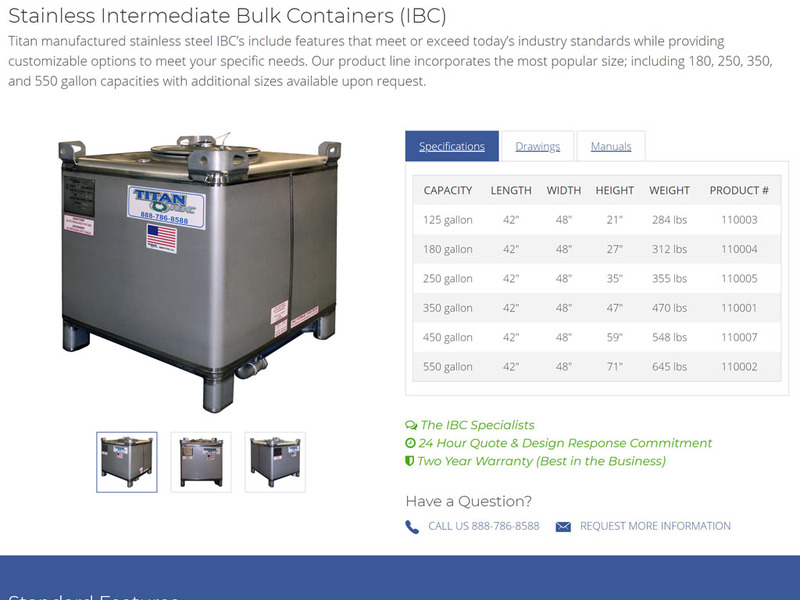 Now they can track their stock, shipping is automatically calculated based on weight and part size, and they can manage their orders quickly and efficiently. 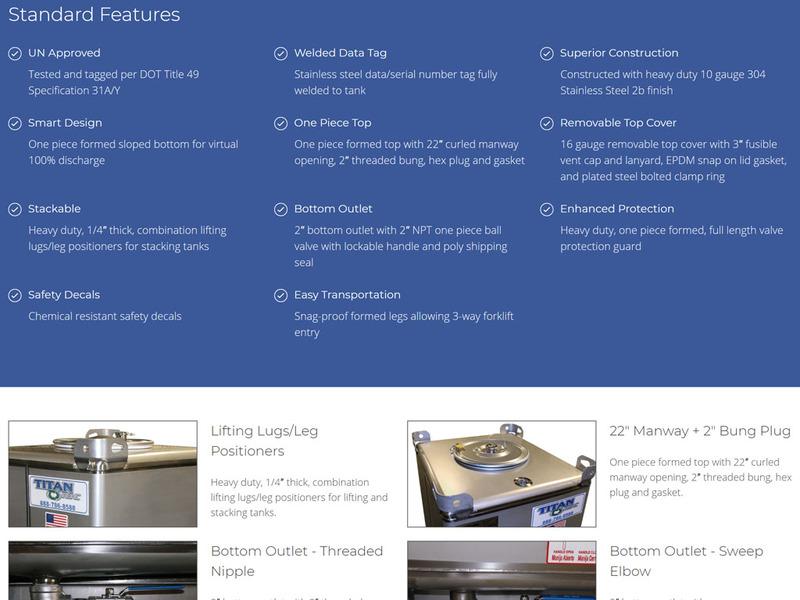 We integrated the parts into the tank pages so that relevant parts are displayed with their tanks so customers can easily find what they are looking for. 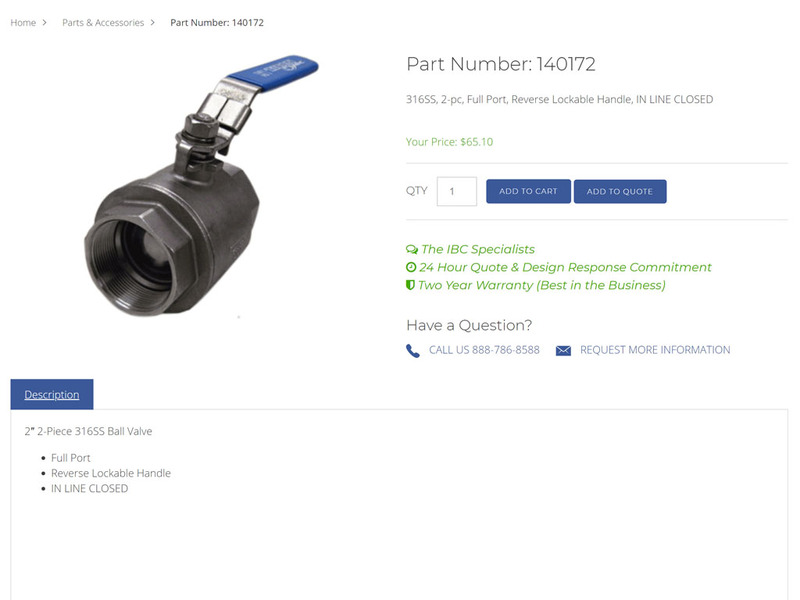 We also added some other custom features to upsell during the checkout process for other related parts and accessories.